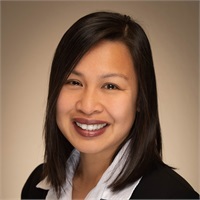 Arabelle joined the team in 2004 after earning her Bachelor’s degree in Business Administration from San Francisco State University. Her primary responsibilities are generating financial plans, preparing client reviews, setting up new accounts and initiating transfers, and providing support for other day-to- day investment transactions. She currently holds the California Life/Heath, Long-Term Care, and Variable Insurance licenses, as well as the FINRA General Securities registration through Commonwealth Financial Network.